New York City is a black and white town. It’s gritty and grainy too. There are bits and pieces of people’s lives and interactions scattered throughout the city’s streets and boroughs. Sometimes, all we see are the bits and pieces. Sometimes, things are too close for us to see whole. We are packed in tight. We duck and weave and shuffle from place to place. We pay no heed to the man in the Elvis costume, or to the woman with the screwed up face. 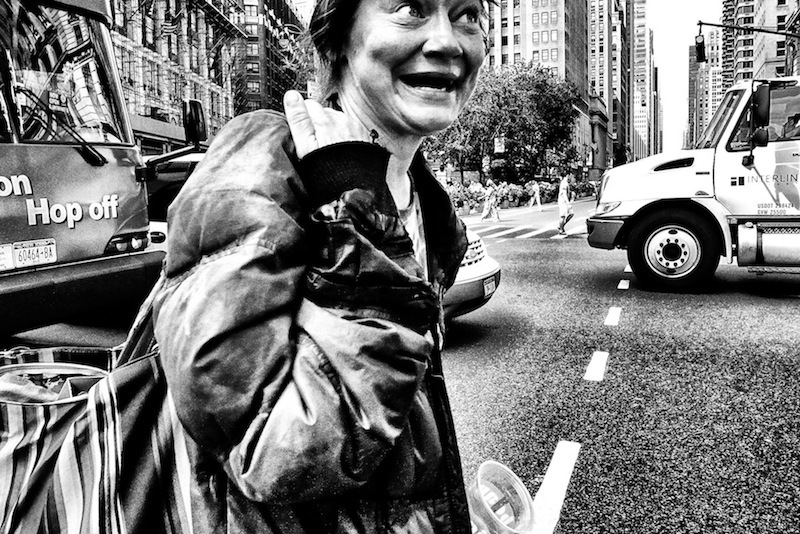 These people are fragments, revealing themselves for a moment, before disappearing back into the mix of Manhattan. They are simultaneously both out of context, and the context themselves. My photographs are singles, but they also form a whole. But this whole still feels incomplete, as it should, because nothing is complete. These images are pages torn from the streets, and from the very asphalt itself. I stole these photographs from you. You in the suit, with your pocket hanky. Or you, with your big circus earrings. These were your moments, and I took them. I just thought I’d let you know. 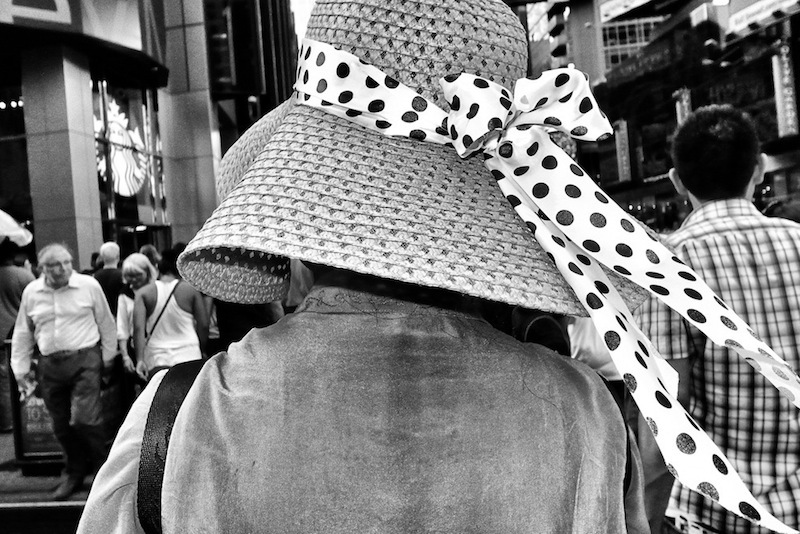 All the photographs are from the series “The New York Photographs”. They were taken in NYC throughout 2012, using the Ricoh GR Digital IV.